Dato Sri Siti Nurhaliza Tarudin known as Malaysias sweetheart. Her exceptional talent and humble personality makes her an idol for all walks of life including the younger generation. Siti Nurhaliza born on January 11, 1979, in Kuala Lipis, Pahang, Malaysia) she is a multiple-award winning Malaysian pop singer-songwriter. She is currently the most successful Malaysian singer. Dato Sri Siti Nurhaliza has achieved various accomplishment at such an early age. Her kick-start in the music industry was at the age of six through Sirih Pinang, a song that she sang in conjunction with her school mid-semester closing. She then braved herself to join various singing competition. she won the competition with her powerful vocal. Dato Sri Siti was recognised officially among Malaysians when she participated and won Bintang HMI, a star search competition hosted by RTM in 1995. That was the beginning of her career as a singer. Dato Sri Siti Nurhaliza's career was planted and blossomed locally and as predicted, she has become an international icon respectively. her first album was a great success, and paved the way for successful subsequent albums.Siti held a successful solo concert at the Royal Albert Hall in London in April 1, 2005, although the majority of the audience were Malaysians living in the United Kingdom and Malaysians who had travelled just to see the concert. From this concert also, major press in Britain taught her as 'Asia's Celine Dion'-due to her powerful vocal and outstanding perfomances. Through the hardship and sacrifices made along the years of involvement in her singing career, it was paid off with the awards and recognitions that she received. Her accomplishment qualifies her name to be recorded twice in The Malaysia Book of Records for her triumph as The First Artist that made a Solo Concert at Royal Albert Hall, London as well as Most Award Won Artist. She has also been honoured with Darjah Indera Mahkota Pahang (DIMP) award that carries the title of Dato presented by His Royal Highness, Sultan of Pahang. To date, Dato Siti has achieved more than 200 awards from both local and international through her 18 years of experience in the music industry. She has also recorded more than 20 albums in various concept like pop, traditional, duet, concert based and not to forget an English album that aims to promote the local music industry into the eyes of the world. Her dedication towards her singing career is seen through her consistency in producing the best albums that were well received despite the highs and lows of the music industry. Dato Siti did not stop there as she held various solo concert tours afterwards and come 2004, she had travelled over 13 states in Malaysia through her Konsert Fantasia Tour. This energetic entertainer also appreciates her international fans through tour concert in Indonesia as well as solo concerts at Singapore and Brunei. She was honoured with the title Darjah Indera Mahkota Pahang (DIMP) by the Sultan of Pahang which carries the title 'Datuk' infront of her name.To date, she has garnered more than 200 local awards as well as international awards. Dato Siti Nurhaliza is not only a well-known performer but also an entrepreneur who built 5 companies that she manages together with her family. Started off with Siti Nurhaliza Productions ,her very own record label, Siti Nurhaliza Collections and Siti Nurhaliza Marketing Meanwhile in 2006, she set up another two companies named Siti Sound and SN Mobile Digital. Despite a successful career with countless albums, hits and awards as well as iconic recognition beyond local shores, Dato Siti still harboured in her heart a deep seated dream to have her own beauty brand which she can share with all her adoring fans. Sharing this sentiment with her loving husband who fully supported her dream, the couple roped in close friends and industry experts as business partners to form a team of dream enablers who would take Dato Sitis dream to heights of reality. 2008 marked the commencement of a journey of passion and commitment to make SimplySiti a brand that truly epitomises the woman who inspired it. From meticulous research and development, appealing design and packaging, to careful selection of natural ingredients for maximum benefits, every single detail was subjected to rigorous and stringent standards of quality. Today, her life journey as a 39-years old entertainer and entrepreneur has never been wasted. What she gets, she gives back to the community by participating in events like Muhibbah Ambassador for Red Crescent Society of Malaysia and Ambassador and With All Our Heart Foundation by JUSCO. She also had established her own foundation named Yayasan Nur Jiwa, which aims to help the people in need. 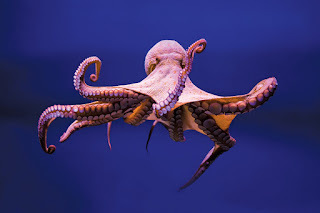 The octopus is a mollusk animal of the Cephalopoda class (the animal's leg is on the head) the Octopoda sequence with coral reefs in the sea as the primary habitat. 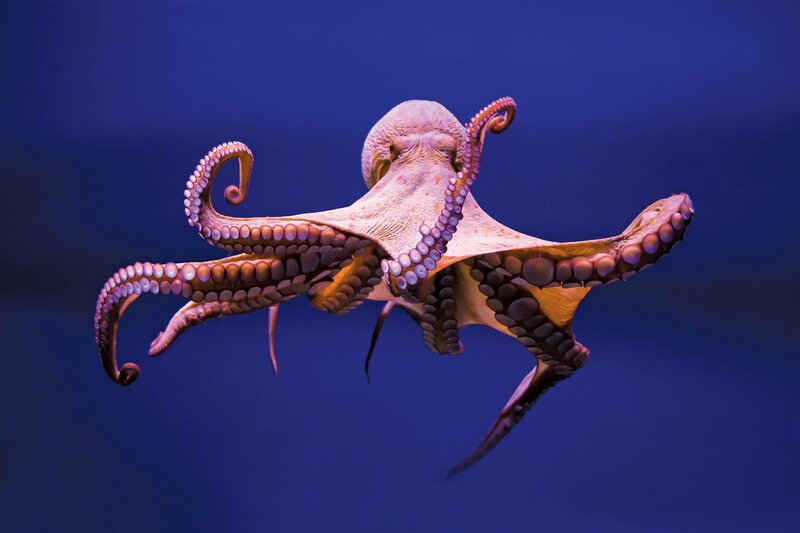 Octopus consists of 289 species, accounting for one-third of the total species of Cephalopoda class. octopus is ready to mate. The cycle is repeated. 4.Octopus is known as a smart animal. 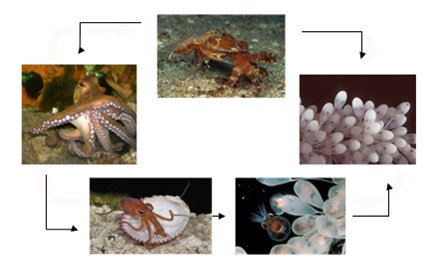 5.Octopus can enter a small gap. 6.Octopus has a short lifespan.